“Cashless” cash management reform would at first glance appear to be a redundant statement. In reality “cashless” cash reform refers to cash management Â reform with a “cashless” strategic component designed to thwart the dark side of the cash economy. As efficient and logical as Cash Single Shared Platform is in the European arena, other countries on other continents have very different challenges. A little over two years ago, we posted an article (Nigerian Cash Management Reform) on proposed legislation in Nigeria that would limit cash withdrawals and cash circulation drastically. At the time the restrictions being proposed were an agressive response to a cash economy in trouble. Inlike the CashSSP partners who are driven by efficiency, Nigeria is trying to manage an economy that in many ways has been compromised by the dark side of cash. 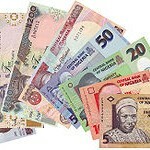 Nigeria is not alone in facing widespread problems with corruption, graft and criminal activity. Unfortunately Nigeria is a very visible and growing economy with ambitions in their Vision 2020 undertaking to be among the top 20 global economies by 2020. Such ambition requires ambitious actions to resolve the national cash usage problem. To drive development and modernization of our payment system in line with Nigeriaâ€™s vision 2020 goal of being amongst the top 20 economies by the year 2020. An efficient and modern payment system is positively correlated with economic development, and is a key enabler for economic growth. 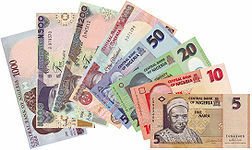 High cost of cash:Â There is a high cost of cash along the value chain – from the CBN & the banks, to corporations and traders; everyone bears the high costs associated with volume cash handling. High risk of using cash:Â Cash encourages robberies and other cash-related crimes. It also can lead to financial loss in the case of fire and flooding incidents. High subsidy:Â CBN analysis showed that only 10percent of daily banking transactions are above 150k, but the 10percent account for majority of the high value transactions. This suggests that the entire banking population subsidizes the costs that the tiny minority 10percent incur in terms of high cash usage. Informal Economy:Â High cash usage results in a lot of money outside the formal economy, thus limiting the effectiveness of monetary policy in managing inflation and encouraging economic growth. Inefficiency & Corruption:Â High cash usage enables corruption, leakages and money laundering, amongst other cash-related fraudulent activities. I think we can agree that encouraging a more reasonable use of cash is a good thing if you are trying to curb crime. It is interesting to note that when Nigeria decided to implement the Cash-Less Lagos Project, they worked very hard toÂ anticipateÂ and predict the response from the criminal element. In a recent interviewÂ Mr. Olatunde Ogunsakin,Â the Commissioner of Police (CP) incharge of the Special Fraud Unit (SFU), Nigeria Police Force outlined his efforts to respond to increased cybercrime as well as police corruption. In a true display of leading by example the slogan “Bail is Free” isÂ prominentlyÂ displayed on doors, walls and other high visibility locations in his Units offices. Officers police each other and any report of an officer receiving or attempting to coerce a bribe are met with swift and meaningful action. Apparently becoming a cashless society is not without challenges. Given the withdrawal restrictions within theÂ Cash-Less Lagos Project, the average person should easily be able to conduct their daily lives without impact. Ideally it will also dramatically impact the underground cash economy either by forcing legitimacy or by changing the medium of exchange. In many ways crime is like water – it has to go somewhere. Build a dam or drain a lake but either way you aren’t eliminating the water. You are simply changing the flow. If cash is scarce in large quantities then criminals will find other methods to transfer wealth for product or service. Nigeria is focused on pioneering this unique approach to controlling the dark side of cash. We should both applaud them and take note of the results. I offer to you that there is not a country on the planet that wouldn’t benefit from a reduction in the criminal use of cash.